Four decades of research and hundreds of studies have proven what should be obvious to everyone: The more involved a dad is, the more successful his children will be. A father's influence can determine a child's social life, grades at school, and future achievements. According to the Father Involvement Research Alliance review, girls with involved fathers have higher self-esteem, and teenage girls who are close to their dads are less likely to become pregnant. Boys show less aggression, less impulsivity, and more self-direction. As young adults, children of involved fathers are more likely to achieve higher levels of education, find success in their careers, have higher levels of self-acceptance and experience psychological well-being. Adults who had involved fathers are more likely to be tolerant and understanding, have supportive social networks made up of close friends, and have long-term successful marriages. A study by Brigham Young University researchers finds that involvement in everyday activities, such as eating dinner together, watching TV, playing in the yard, and playing video games are even more important to share with Dad than big outings or trips, although those contribute to children's development as well. Fathers and youths in the study experienced more satisfaction and cohesion in their family when fathers were involved in everyday core activities. "Although participation in balance family leisure activities is important and needed, it was fathers' involvement in the everyday, home-based, common family leisure activities that held more weight than the large, extravagant, out-of-the-ordinary types of activities when examining family functioning," the authors said. But how does a father's influence differ from a mother's? Isn't one good parent enough? "Fathers and mothers have unique and complementary roles in the home," says Brett Copeland, a clinical psychologist in Tacoma, Washington. "Fathers encourage competition, independence, and achievement. Mothers encourage equity, security, and collaboration." 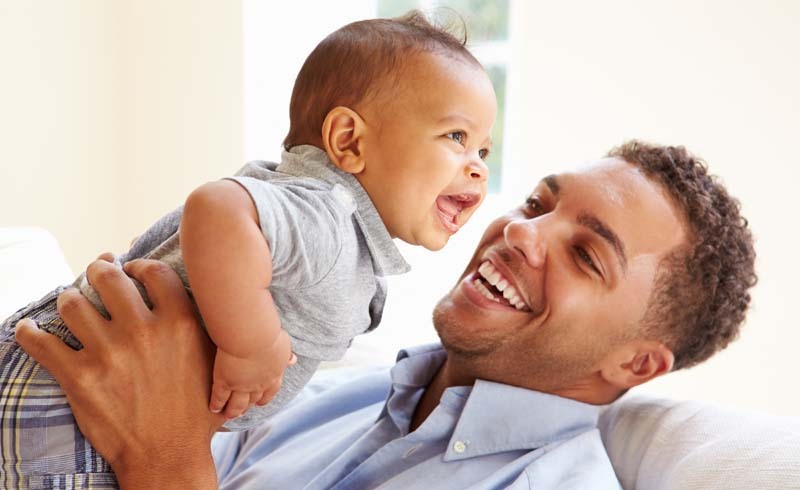 W. Bradford Wilcox, director of the National Marriage Project and associate professor of sociology at the University of Virginia, says that fathers' special input differs from mothers' in at least four ways: playing, encouraging risk, protecting and disciplining. By asking parents of 390 families how they play with their children, psychologist Ross Parke found that "in infants and toddlers, fathers' hallmark style of interaction is physical play that is characterized by arousal, excitement, and unpredictability." Mothers, on the other hand, were "more modulated and less arousing" in their play. This became glaringly obvious to me when my husband left home for a year and a half to work in Afghanistan. My modulated play was not cutting it. Several months into the experience, our three kids began complaining to me, "You never tickle us." I had to take a page from my husband's playbook for a while. 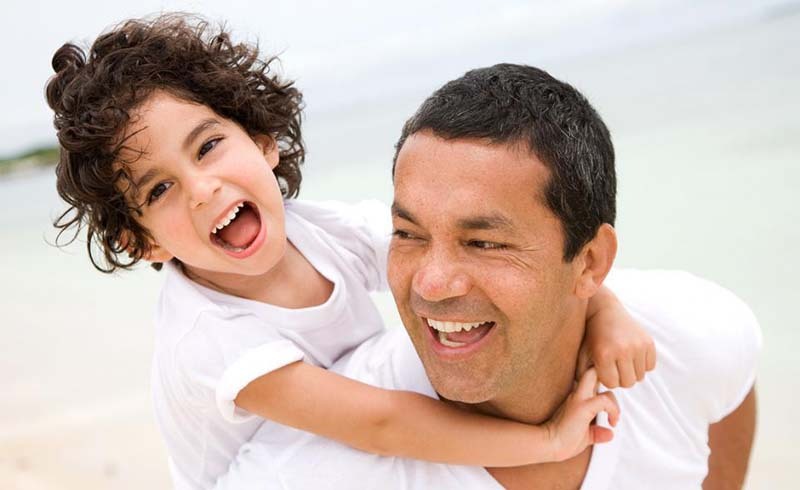 A manual from the U.S. Children's Bureau explains the impact of fathers' play this way: "From these interactions, children learn how to regulate their feelings and behavior. Roughhousing with dad, for example, can teach children how to deal with aggressive impulses and physical contact without losing control of their emotions." Where mothers tend to worry about their children's safety and well-being, fathers encourage their children to take risks. Psychologist Daniel Paquette's review of scholarly research found that dads are more likely to encourage their children to overcome obstacles, to talk to strangers, and to go in the deep end during swim lessons. One study in the review (J. Le Camus, "Les interaction pere-enfant en milieu aquatique") focused on a group of parents teaching their children how to swim. It found that "fathers tend to stand behind their children so the children face their social environment, whereas mothers tend to position themselves in front of their children, seeking to establish visual contact with the children." Perhaps it's their size, strength, or inclination to protect, but fathers appear to be better at keeping predators and bad influences from harming their children. Psychologist Rob Palkovitz said in The Atlantic, "Paternal absence has been cited by multiple scholars as the single greatest risk factor in teen pregnancy for girls." When fathers are more involved, they can better monitor what's going on in their children's lives, including interaction with peers and adults. Although mothers discipline more often, fathers discipline with a firmer hand. In their book Partnership Parenting, Drs. Kyle Pruett and Marsha Kline Pruett write, "Fathers tend to be more willing than mothers to confront their children and enforce discipline, leaving their children with the impression that they in fact have more authority." Mothers, on the other hand, try to reason with their children and rely on kids' emotional attachment to them to influence their behavior. Although Mom and Dad may not seem to be on the same page, this diverse approach can be very effective in disciplining children. The good news about being a dad is that you don't have to be spectacular at it to make a major positive contribution to your child's life. W. Bradford Wilcox looked at data on delinquency, pregnancy, and depression in adolescents and compared the statistics with how the teens rated their fathers or if they lived with a single mother. He found that outcomes for teens in single-mother homes were about the same as those living with both a mother and a poor-quality father; teens had higher levels of delinquency, pregnancy, and depression. But teens living with their mother and father, with whom they had an average-quality relationship, experienced much lower negative outcomes. Teens who had a high-quality relationship with their father had even lower rates. Wilcox concludes that "great, and even good-enough dads, appear to make a real difference in their children's lives."